Other parent organisations at Tiffin. TIPRA (Tiffin Parents' Rugby Association) who do a great job of putting on food and hot drinks after games at Grists, and provide equipment and clothing such as match shirts. FOTM (Friends of Tiffin Music) raise funds through annual subscriptions and by putting on a range of activities such as jazz café and quiz evenings and serving refreshments at many musical events including Tiffin in the Garden and the annual Oratorio. Tiffin School Boat Club Associates which comprises all the supporters of rowing at the school, including parents and alumni. 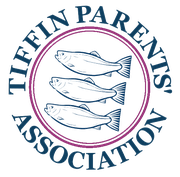 The Tiffinian Association represents the school's alumni and is an organisation your son may want to consider joining when he leaves Tiffin. There's more in the links on the left.